Wim Delvoye is a Belgian artist known for his inventive and often shocking projects, such as tattooing pigs. He lives and works in Belgium, but recently moved to China after a court of law judged his pig tattoo art projects illegal. 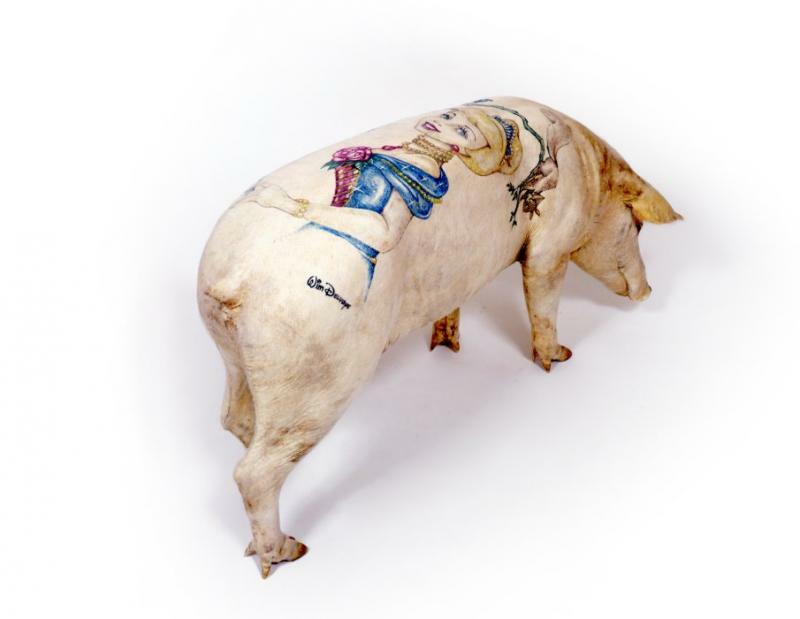 Though Delvoye started tattooing pig skins taken from slaughterhouses in the United States in 1992, he began to tattoo live pigs in 1997. Delvoye was interested in the idea that “the pig would literally grow in value,” both in a physical and economic sense. He ultimately moved the operation to an Art Farm in China in 2004 where restrictions regarding animal welfare were less strict. 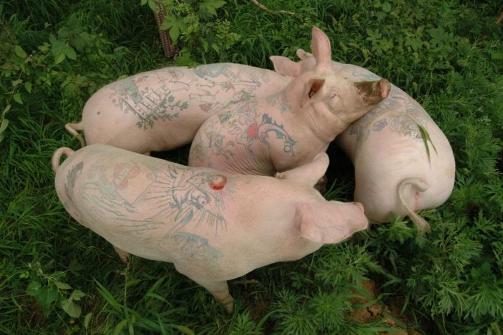 The pigs have been inked with a diverse array of designs, including the trival, such as skulls and crosses, to Louis Vuitton designs, to designs dictated by the pig’s anatomy. 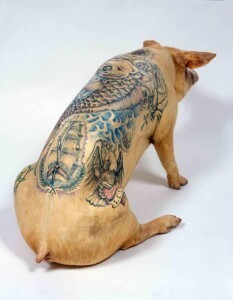 The designs are created by Delvoye and his three colleagues in residence.” In an interview with ArtAsiaPacific’s Paul Laster, Delvoye described the process of tattooing a live pig,”we sedate it, shave it and apply Vaseline to its skin. As another manifestation of contradiction in Delvoye’s art, he owns a pig farm though he is a practicing vegetarian.